Silica Fume has a stable pH and a low impurity level and is perfectly adapted to the requirements of refractory castables. Its use improves the flow, mechanical properties (especially hot strength), and durability (via permeability reduction). Silica fume use in refractory castables provides better particle packing. 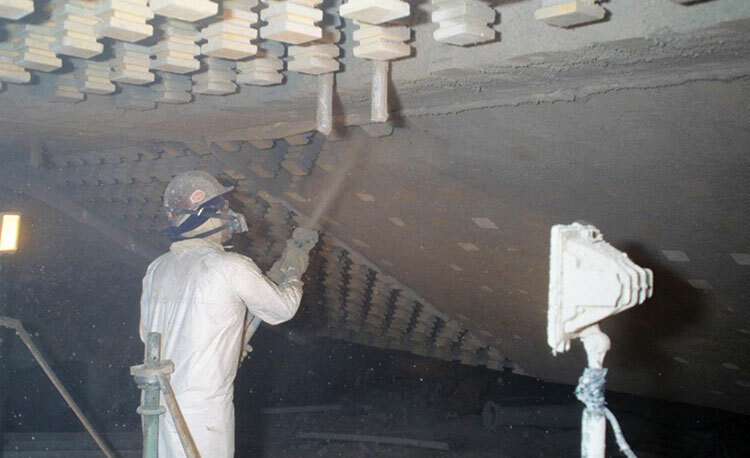 Silica fume use requires less water, while maintaining the same flow characteristics. Silica fume use also promotes low temperature sintering, and the formation of mullite in the matrix of castables. This allows production of castables which have a low permeability to gas, slag and metal penetration. Castables made with silica fume are stronger than non-silica fume castables, especially at high temperatures and higher density. Silica fume use will attain lower porosity and are more volume stable.